The Canadian lynx is endangered especially because of humans. People hunt Canadian lynx for their thick, beautiful fur. 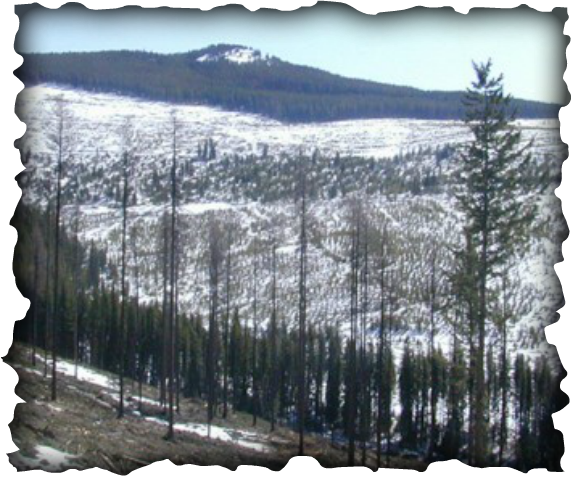 Another way humans are to blame for the deaths of Canadian lynx is because 0f deforestation. Humans completely destroy forests for wood to use for housing or to burn for heat. Canadian lynx continuously lose their habitats because of this. One last big reason the Canadian lynx is in great danger is because usually the Canadian lynx has an advantage over other animals during the winter season, but climate changes are affecting that ability. This photo shows an entire forest that has been destroyed by humans.